Headbusters - true barbershop. Quality. Traditions. Style. We provide perfect time-tested man's haircuts and classic razor shaving since 2012. Our history begins from "Bruklig Mark" blog- internet magazine about true men's real life, at 2010. 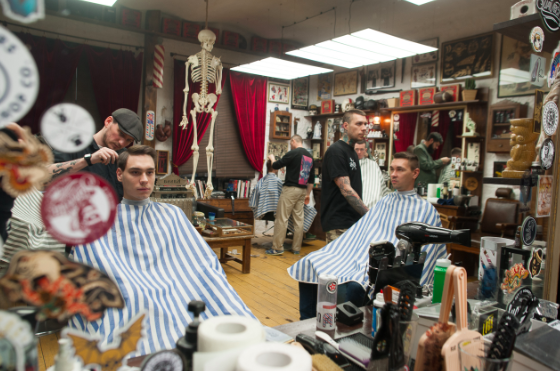 Out of internet we came to city streets, carrying the heritage idea: we're not serving, but stating the culture of barbering, bring in an authentic style and healing "modern craze".